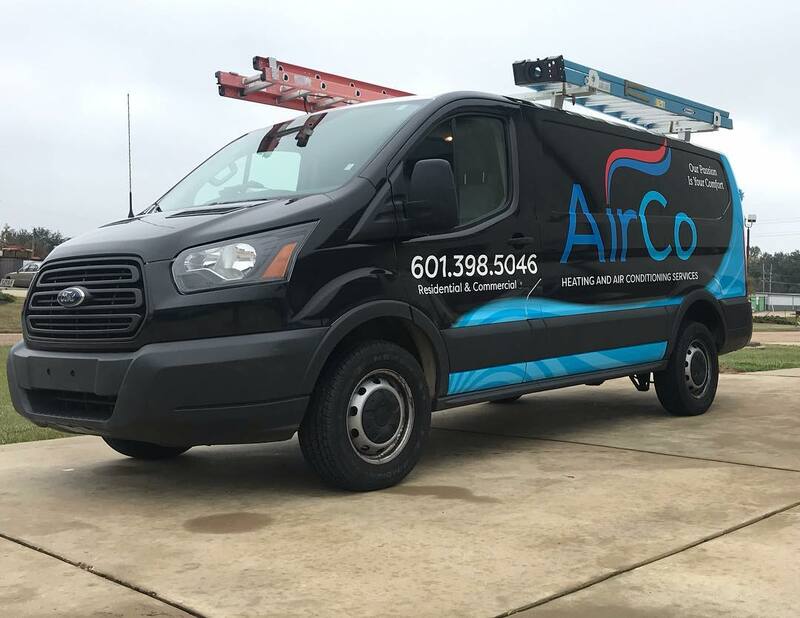 Top Rated Local® is pleased to announce that AirCo Heating and Air Conditioning Services is a 2019 award winner for HVAC Companies in Mississippi! If your home is uncomfortable because of a heating or cooling issue, turn to an HVAC company that will get your system up and running again in no time by turning to AirCo Heating and Air Conditioning Services in Brandon. AirCo Heating and Air Conditioning Services has received dozens of reviews on multiple verified sites with an average rating of 5.00 stars, earning them a tremendous Rating Score™ of 94.00 and a 2019 Top Rated Local award for ranking among the top 10 HVAC companies in all of Mississippi! “[I] can’t say enough great things about Brad and AirCo. I called him at 1 pm on a Saturday (in July), and by 2:15pm, my AC was working again. He literally left his house minutes after talking to me and came straight over — for a first time customer at that. Brad was very thorough. He presented all the options for current and long-term needs in a very logical manner. And to top it off, he served our great country. Thank you, Brad, for your service!” – Mandy S.
Brad Bailey, the owner of AirCo Heating and Air Conditioning Services, generously gave us a few minutes of his time to tell us a bit about his one-of-a-kind business and its incredible online reputation. Outside of building a powerful online reputation, AirCo Heating and Air Conditioning Services has gotten their name out there through direct mail — including letters and postcards — vehicle wraps and referral groups. Brad says that they plan to advertise on some billboards in the near future. Congratulations to the team at AirCo Heating and Air Conditioning Services for being a 2019 Top Rated Local award winner, and thank you so much, Brad, for taking the time to speak with us! We highly recommend AirCo Heating and Air Conditioning Services in Brandon. Visit their website today! Top Rated Local® is pleased to announce that Fleur De Lis Heating & Air is a 2019 award winner for HVAC/heating and AC in Mississippi! 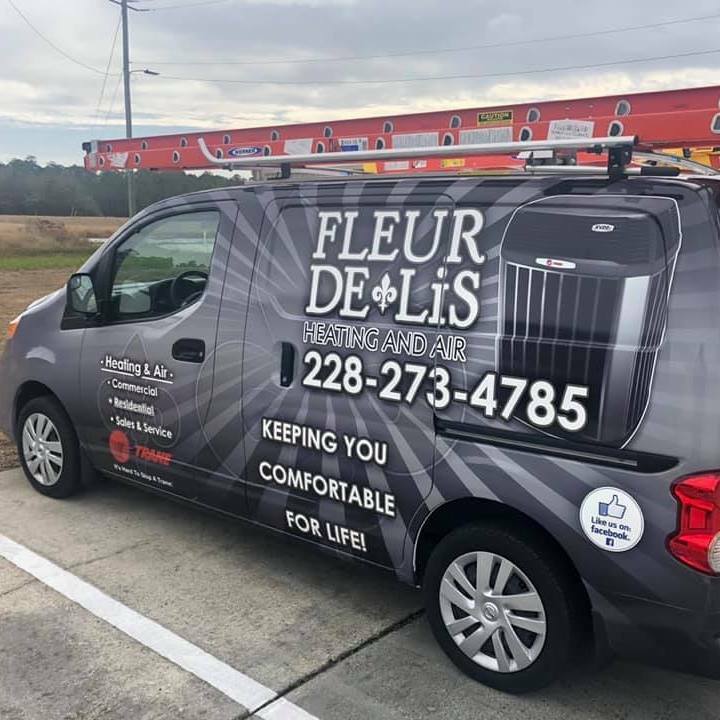 For all of your HVAC needs in the Gulfport area, we encourage you to check out Fleur De Lis Heating & Air. Fleur De Lis Heating & Air has received dozens of reviews on three verified sites with an average rating of 5.00 stars, earning them an impeccable Rating Score™ of 96.00 and a 2019 Top Rated Local award for ranking among the top 10 HVAC/heating and AC companies in all of Mississippi! “Josh gave me multiple estimates to fit my budget and showed me the benefits and savings with each unit. When he came to do the installation, he was very professional. He cleaned up the worksite and made sure the unit was working properly. I would highly recommend him to anyone. His customer service is hands-down the best. If you need a reputable AC /Heating contractor in Woolmarket, call Fleur De Lis.” -Robert T.
We wanted to learn a little more about this award-winning business and its impressive online reputation, so we took a few minutes to talk with Josh Holliman, the owner at Fleur De Lis Heating & Air. Outside of building a powerful online reputation, Fleur De Lis Heating & Air has gotten their name out there through social media platforms like Facebook and Google. They also do some advertising via billboards in the area. Congratulations to the team at Fleur De Lis Heating & Air for being a 2019 Top Rated Local award winner, and thank you so much, Josh, for taking the time to speak with us! Visit their website here! Top Rated Local® is pleased to announce that Jackson Heating And Air is a 2019 award winner for HVAC/Heating and AC in Mississippi! For all of your heating, ventilation, and air conditioning needs, we highly recommend going with Jackson Heating And Air in Meridian, Mississippi. Jackson Heating And Air has received many reviews on verified sites with an average rating of 5.00 stars, earning them an incredible Rating Score™ of 94.00 and a 2019 Top Rated Local award for ranking among the top 10 HVAC/Heating and AC companies in all of Mississippi! “Without a doubt, Jackson Heating And Air was the best choice! They go way out of their way to take care of your A/C problems. I was definitely surprised that, when it came time for the bill, it was a fraction of what I thought it was going to cost me! You won’t be disappointed; give these guys a try!” -D.L. 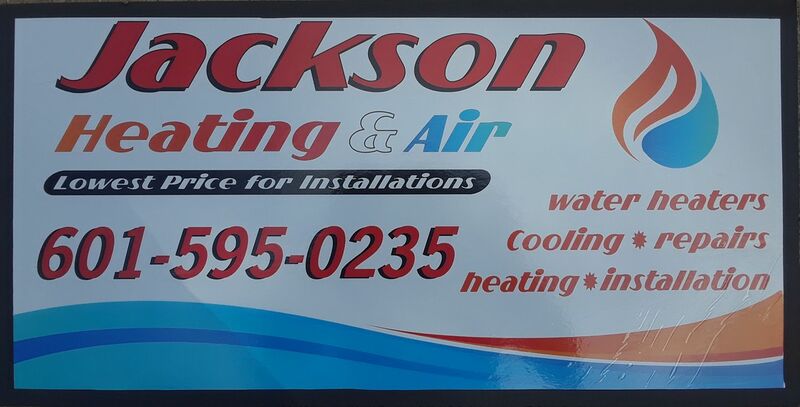 We wanted to learn a little more about this award-winning business and its impressive online reputation, so we took a few minutes to talk with Ron Jackson, the owner of Jackson Heating And Air. Outside of building a powerful online reputation, Jackson Heating And Air has gotten their name out there through mostly word of mouth and by prospective clients seeing positive reviews online. Congratulations to the team at Jackson Heating And Air for being a 2019 Top Rated Local award winner, and thank you so much, Ron, for taking the time to speak with us! 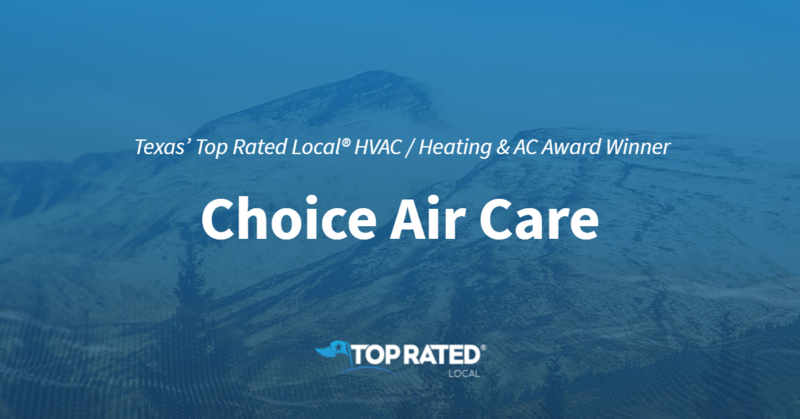 Top Rated Local® is pleased to announce that Choice Air Care is an award winner for HVAC / heating & AC in 2018. If you are looking for an HVAC / heating & AC company that values customer service, look no further than this award-winner! Choice Air Care has received many overwhelmingly positive reviews across five different verified sites with an average rating of 4.90 stars, earning them an impressive Rating Score™ of 94.01 and a 2018 Top Rated Local award for ranking as one of the top 10 HVAC / heating & AC companies in Texas! 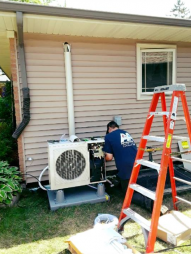 “Great work [was done] by the install crew for an entirely new HVAC system, and many thanks to the service techs for keeping it going for so long. Choice Air Care is reliable, dependable, and customer service oriented.” – A.L. It is because of excellent reviews like this that Choice Air Care is now able to call themselves a Top Rated Local award winner! Chris also has faith in his crew. He shared with us that they only hire great techs and helpers who believe in their business model. He says that he makes sure his team is paid well so they never have to worry about up-selling their customers. Congratulations to Choice Air Care for being a 2019 Top Rated Local award winner, and special thanks to Chris for taking the time to speak with us! Top Rated Local® is pleased to announce that Keith’s Heating & Air Conditioning LLC is an award winner for HVAC / Heating & AC in 2019. If you are looking for an HVAC / Heating & AC company that believes in integrity and craftsmanship, look no further than this award-winning company! Keith’s Heating & Air Conditioning LLC has received many overwhelmingly positive reviews across a variety of verified sites with an average rating of 5.00 stars, earning them an impressive Rating Score™ of 94.00 and a 2019 Top Rated Local award for ranking as one of the top ten HVAC / Heating & AC companies in Mississippi! “Where do I begin? I have owned my own business so I know a great company when I encounter another! [I] just moved to Gulfport two weeks ago. My AC went out yesterday, and I have a new unit today…I cannot say enough about the service techs and what a great job they did! Ladies, they even washed their hands before installing the new thermostat! [They were] very polite and professional. They even vacuumed up after they were through. This company definitely deserves the five stars I gave it. If you want the best service and most professional techs, call Keith’s Heating & AC. I’m truly a very satisfied customer for life!” – D.T. It is because of excellent reviews like this that Keith’s Heating & Air Conditioning LLC is now able to call themselves a Top Rated Local award winner! We were excited to learn all about how Keith’s Heating & Air Conditioning LLC has been able to build such an impressive reputation, so we sat down with the owner, Keith Stumbaugh. The first thing we wanted to know was what it is that makes Keith’s Heating & Air Conditioning LLC stand apart from their local competitors. Keith told us that his company will replace everything if need be. He has also had a magazine made, so he can show clients every job they’ve done and what kind of work they do. He believes that customer satisfaction is the secret to an amazing company reputation. “I would highly recommend Keith’s to anyone looking for their heating and air needs. His staff is very knowledgeable and very kind. Keith himself even showed up to introduce himself and make sure things were going smooth. I will only use Keith’s from now on!” – J.L. There are many businesses out there that are looking to build as impressive a reputation as Keith’s Heating & Air Conditioning LLC has managed to. We asked if Keith could share any expert advice with these companies. Here’s said that quality work needs to be a priority. 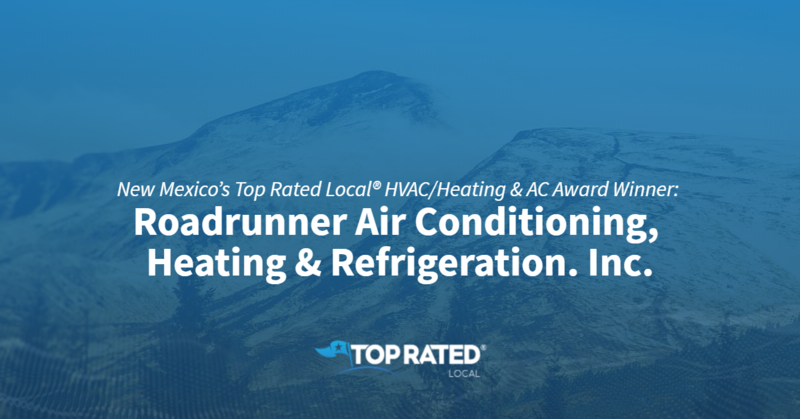 Congratulations to Keith’s Heating & Air Conditioning LLC for being a 2019 Top Rated Local award winner, and special thanks to Keith for taking the time to speak with us! Top Rated Local® is pleased to announce that Advantage Air Heating & Cooling Inc is a 2019 award winner for HVAC/Heating & AC companies in Minnesota! If you are in need of HVAC service and want to work with the best, look no further than the award winning team at Advantage Air Heating & Cooling Inc in Duluth. Advantage Air Heating & Cooling Inc has over 50 reviews on 4 verified sites with an average rating of 4.88 stars earning them an astounding Rating Score™ of 96.82 and a 2019 Top Rated Local award for being one of the top 10 HVAC/Heating & AC companies in the entire state of Minnesota. 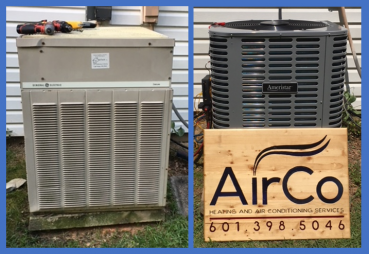 “We worked with Advantage Air Heating & Cooling to have them replace our aging boiler with a forced air system over the summer of 2018. They met and exceeded our expectations, going above and beyond to meet our needs. All of the technicians and installers we worked with did an amazing job! We would not hesitate to recommend them and would encourage you to give them a call for your heating and cooling needs.” – Thomas K.
We took a few minutes to speak with Joe Ligman, owner of Advantage Air Heating & Cooling Inc, to learn a little bit more about the business and how they managed to build such an incredible online reputation. We also wanted to understand what Joe and the rest of his team’s mission is every single day. Joe discussed with us that the service he provides is an absolute necessity in his community. Advantage Air Heating & Cooling Inc wants to be known for doing quality work at an affordable price every time. Outside of simply building a strong online reputation to grow the business, Advantage Air Heating & Cooling Inc has established other channels to drive customer growth, such as mailers and trade publications. Joe says that online advertising through Google has really helped his business as well. Congratulations to the team at Advantage Air Heating & Cooling Inc for being a 2019 Top Rated Local award winner, and thank you so much, Joe, for taking the time to speak with us! Learn more about this business online today. 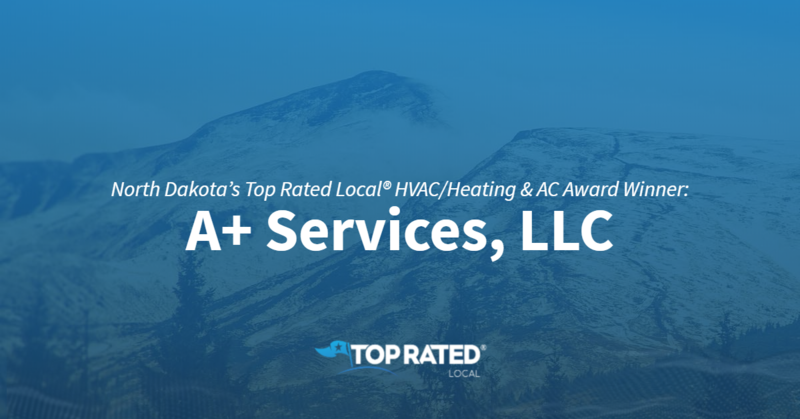 Top Rated Local® is pleased to announce that A+ Services, LLC is a 2019 award winner for HVAC/heating & AC companies in North Dakota! A+ Services, LLC has received numerous positive reviews on verified sites with an average rating of 4.90 stars, earning them a fantastic Rating Score™ of 91.00 and a 2019 Top Rated Local award for ranking among the top 10 HVAC/heating & AC companies in North Dakota. “Ryan has gone above and beyond in helping with sudden boiler issues. [From] working on weekends [to] helping tenants understand the system, and [then] communicating throughout the process, it has been a great experience all the way through. As a property manager, it is great to have reliable and prompt service to be able to meet the needs of our tenants.” -Rebekah P.
We wanted to take a moment to learn a little bit more about A+ Services, LLC so we sat down with Ryan Hamrick, the owner and operator. What makes A+ Services, LLC different, according to Ryan, is the fact that clients deal, in large part, with Ryan himself. He acts as the secretary, accountant, salesman, and service man. He goes on to share that his cell phone is his direct line, and he will intentionally respond to all inquiries within two hours, even if he initially misses the call. Ryan is the epitome of a one-man-show, and he certainly manages it well! Ryan credits his strong online reputation to being on time, being honest, and treating people the way he wants his grandma to be treated. He is confident that, for this reason, his brand has grown to become so successful. Outside of building a powerful online reputation, A+ Services, LLC has gotten their name out there by word of mouth from the service work he chooses to do. He has committed eight years to building his reputation and maintains it by being the face of the company for these service jobs. 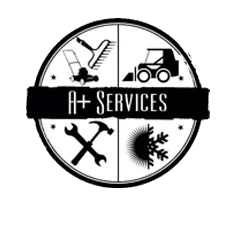 Congratulations to the team at A+ Services, LLC for being a 2019 Top Rated Local award winner, and thank you so much, Ryan, for taking the time to speak with us! Visit his website here! 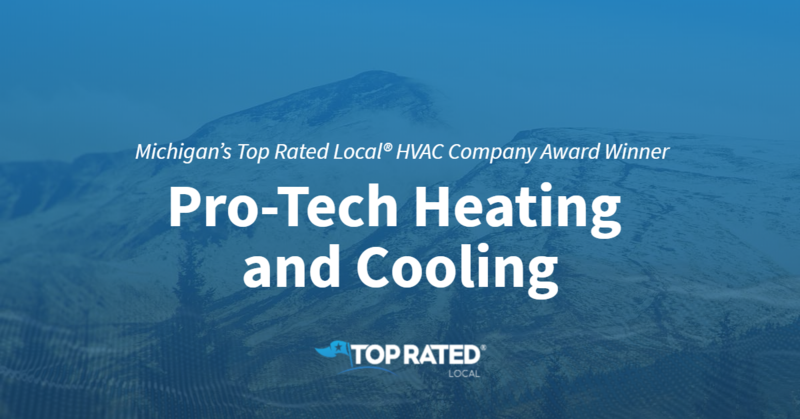 Top Rated Local® is pleased to announce that Pro-Tech Heating and Cooling is a 2019 award winner! “I was really impressed with the two furnace installers. They were here on time and answered all of our questions before, during and after the installation. We hardly knew they were here. I strongly recommend Pro-Tech Heating and Cooling to anyone needing furnace or air conditioning repair or installation.” -Richard T.
Lisa Purvins, the owner of Pro-Tech Heating and Cooling, took some time to chat with us regarding her business’ extraordinary online reputation. Congratulations to the team at Pro-Tech Heating and Cooling for being a 2019 Top Rated Local award winner, and thank you so much, Lisa for taking the time to speak with us! Top Rated Local® is pleased to announce that Fire & Ice Refrigeration Heating & Air is a 2019 award winner for HVAC companies in North Dakota! For all of your heating and cooling needs in Dickinson, turn to Fire & Ice Refrigeration Heating & Air. Fire & Ice Refrigeration Heating & Air has received dozens of reviews with an average rating of 4.93 stars, earning them an outstanding Rating Score™ of 93.31 and a 2019 Top Rated Local award for ranking among the top 10 HVAC companies in North Dakota! “Fire & Ice folks are fantastic. From the first moment when they picked up the phone, they were quite professional, kind, helpful and very straightforward concerning the pricing structure. They were also very timely and actually called me earlier that day to schedule a visit…[I] highly recommend this company!” – George F.
We wanted to learn a little more about Fire & Ice Refrigeration Heating & Air and how they managed to build such an impressive online reputation, so we sat down with the co-owner, Jill. The first question we had for Jill was what makes Fire & Ice different from the many other HVAC companies in North Dakota. She told us that they are problem solvers who don’t give up. They aren’t looking just to make money; they want to help their clients by fixing what needs to be fixed. She also told us that they’ve branched out when it comes to their services, and that they now offer duct cleaning and air quality services. When asked what their mission is at Fire & Ice and how they work to make the world a better choice, Jill told us that their goal is to provide the best customer service, to keep customers happy and to change lives, one HVAC system at a time. Jill credits Fire & Ice’s strong online reputation to their commitment to providing service that’s both quick and efficient. When people call to schedule an appointment, they are helped as quickly as possible. Outside of building a powerful online reputation, Fire & Ice has gotten their name out there through word of mouth, sponsorships for local events, advertisements in the local paper, Facebook and their website. Congratulations to the team at Fire & Ice Refrigeration Heating & Air for being a 2019 Top Rated Local award winner, and thank you so much, Jill, for taking the time to speak with us! For all of your heating and cooling needs in Dickinson, we highly recommend Fire & Ice Refrigeration Heating & Air. Visit their website today!